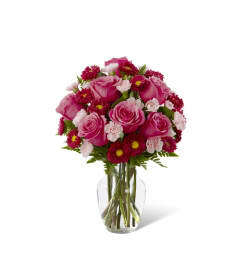 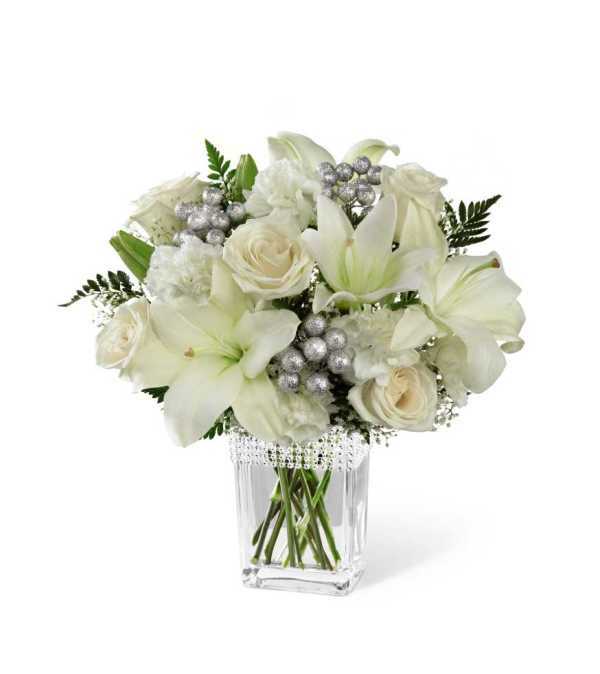 The FTD® Intriguing Grace™ Bouquet speaks to a pure beauty and alluring style that can only be defined through these exquisite blooms. 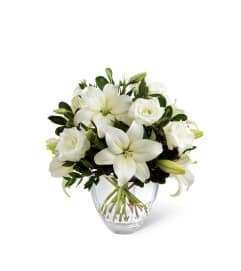 Drenched in the modern sophistication of white, these roses, Asiatic Lilies, carnations and Million Star Gypsophila are brought together and offset by lush greens to create an impressive flower arrangement. Presented in clear glass vase with silver beading lined at the top and accented with silver glitter ball pics for an added touch of lovely, this mixed flower bouquet will make an excellent thank you, anniversary, or engagement gift.